CultureShock! 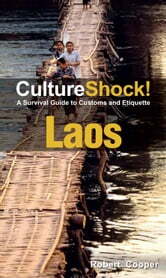 Laos points you on the right path to appreciating the culture and customs of this land-locked nation. Discover the impact of its five immediate neighbours on the land and see how Laos’ wartime history and the time spent as a French protectorate in the late 19th century have influenced the people’s way of life. This book covers everything—from the difference between the 132 officially recognised ethnic groups to the reverence accorded to Buddhist monks—to provide a shortcut to understanding the Lao. Practical information on settling down, engaging domestic help as well as how to behave in various business scenarios make CultureShock! Laos essential reading for anyone going there for the long haul. Last but not least, kick back and enjoy as we highlight the best of the country’s arts, heritage and cultural offerings and recreational activities.